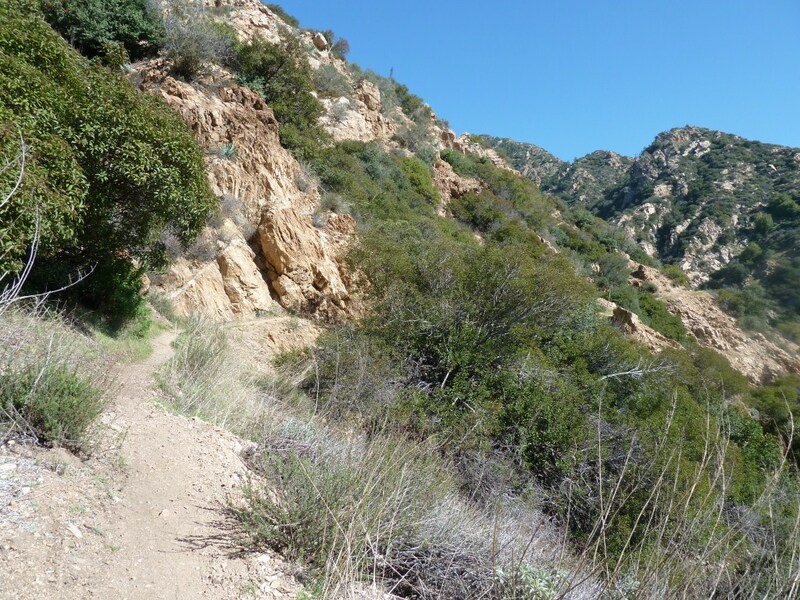 The Castle Canyon Trail connects Echo Mountain to Inspiration Point. So, you need to reach one of those two end points from another trail to hike Castle Canyon. One way to get to the Castle Canyon trail is to start from the Cobb Estate and hike up to Echo Mountain using the Lower Sam Merrill Trail. 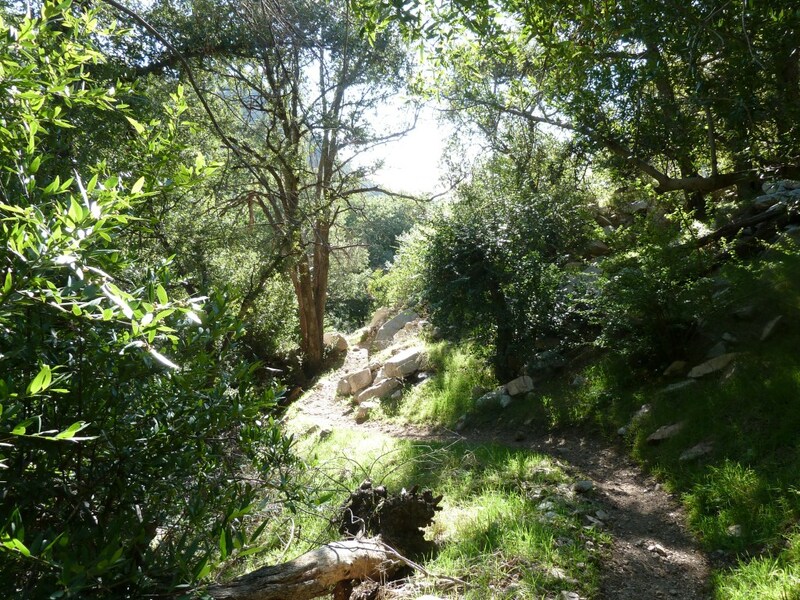 Like the Lower Sam Merrill Trail, Castle Canyon begins without shade. However, a large part of the trail is shady and even meets up with a small stream in a couple places (that may not have water in summer). 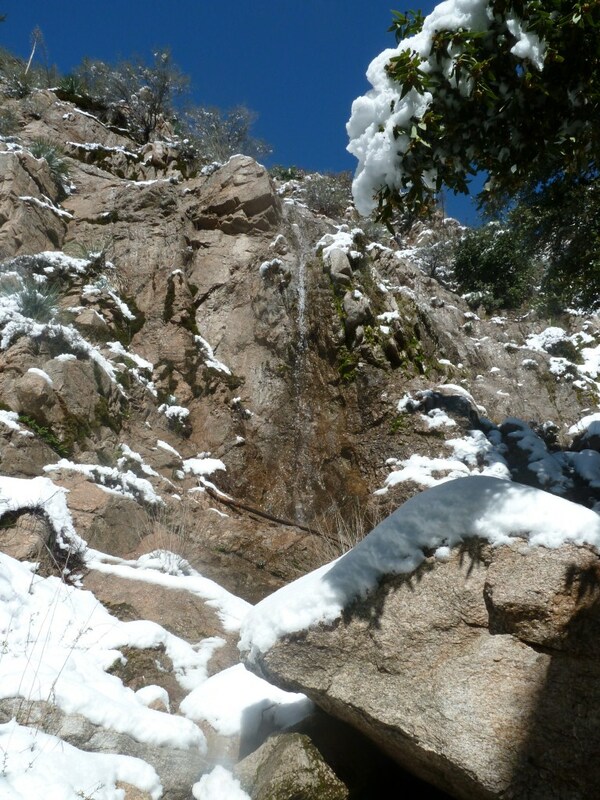 After enough rain or snow, a seasonal waterfall (or water-trickle) emerges. 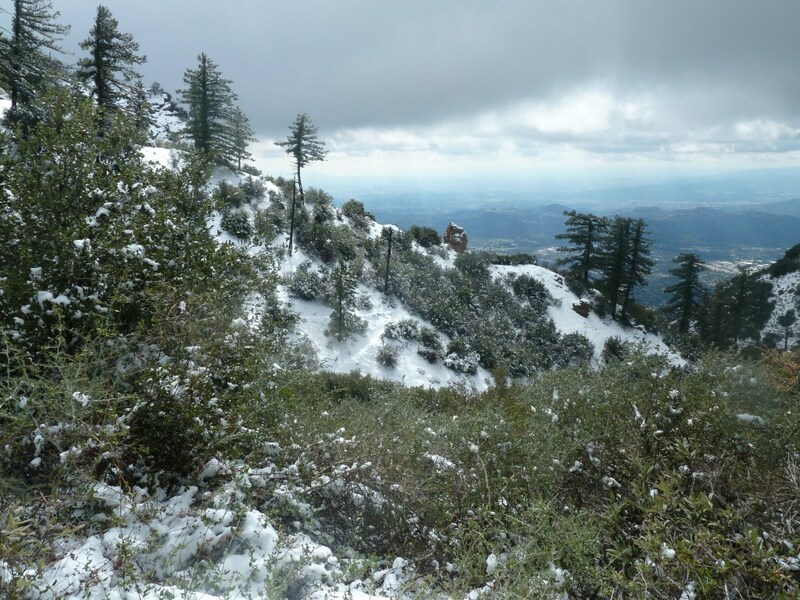 The trail starts at an elevation of about 3200′ and reaches close to 4500′ and will sometimes be covered in snow. Usually, just enough snow to make it interesting and hike-able without snowshoes or crampons. 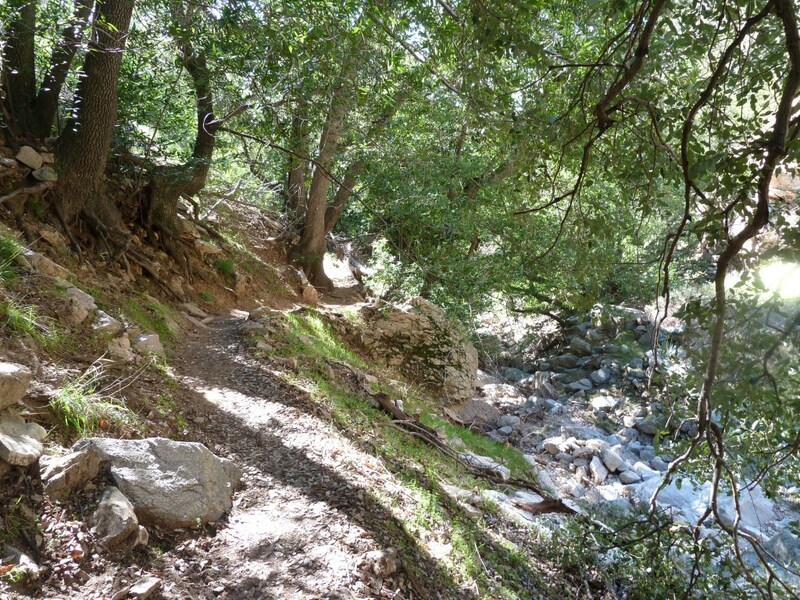 So, several times during winter or spring you can park at the Cobb Estate in Altadena and fairly quickly hike up to snow along this trail (2-1/2 to 4-1/2 miles from parking depending on snow level). Unlike the Lower Sam Merrill trail where at any time you can look out to views of the city, much of the time the view of the canyon and what is surrounding you on the trail is introspective and is blocked from city views. 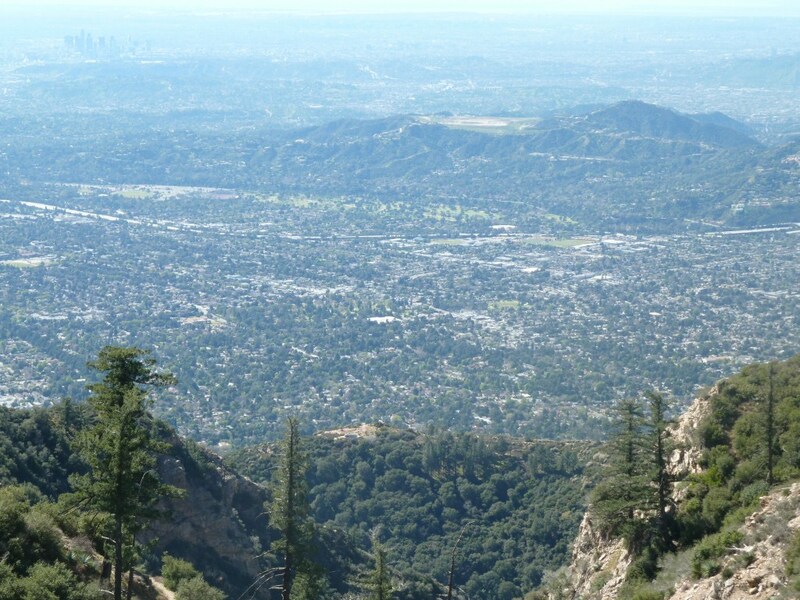 At other times there are great views of the city and of Echo Mountain from above. A significant portion of the trail gets a little steep compared with the rest of the trail–which is great if you are training. Even if you aren’t training, the reward of making it to Inspiration Point is worth the effort. 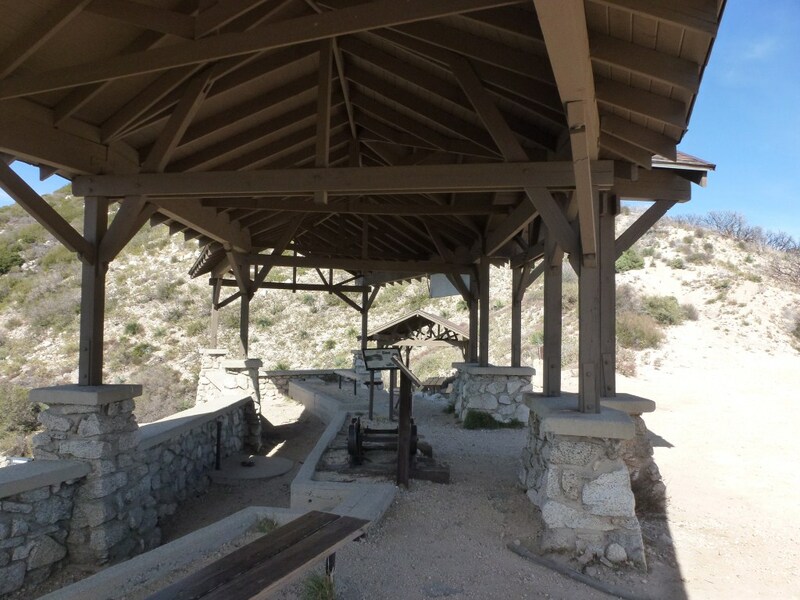 At Inspiration Point there is shade, picnic tables, signage with history of the area, and remnants of the old one man and mule railway. On a clear day, there are excellent views down the canyon and of the city, the ocean, and Catalina Island. 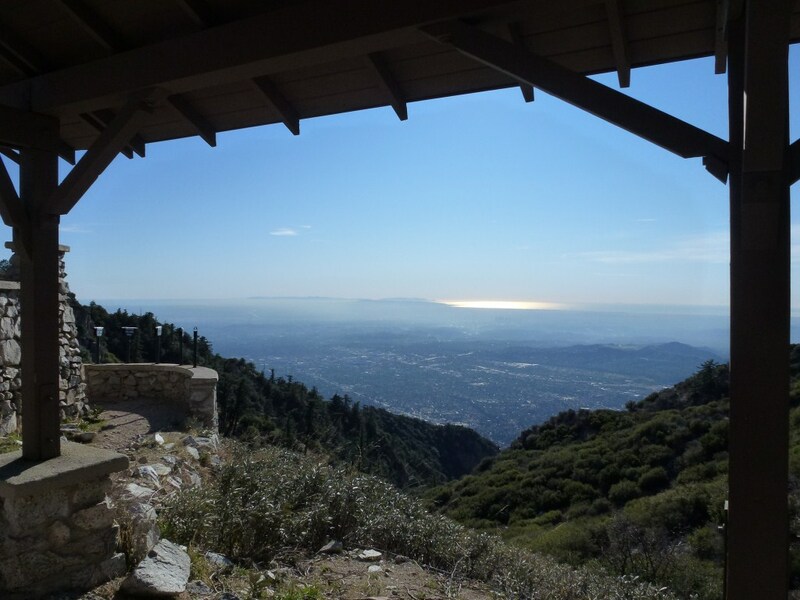 This entry was posted in Hike and tagged Angeles Forest, Castle Canyon Trail, Echo Mountain, Hiking, Inspiration Point, Lower Sam Merrill Trail, Water, White City Ruins by Kyle Kuns. Bookmark the permalink. That and Devil’s Backbone on Mt. Baldy are my two favorite trails. Thanks for sharing the pics with the snow, wasn’t able to make it up then. Great photos…looks like it was a great day for a hike!